AJAE is the leading journal for agricultural economics. Five issues are published each year, including a proceedings issue. AAEA members receive free access to AJAE. 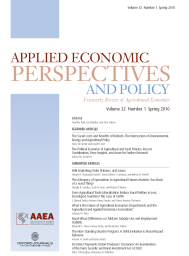 AEPP, formerly the Review of Agricultural Economics (RAE), publishes four issues per year. 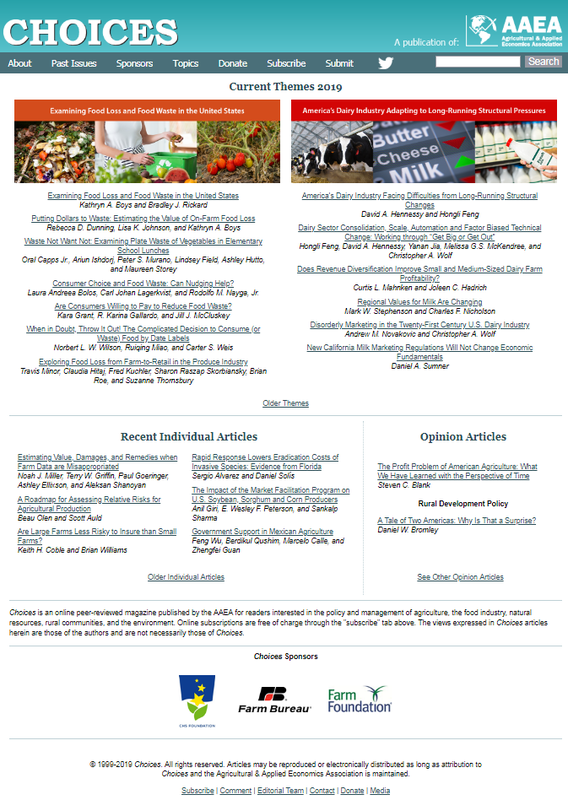 Each issue includes both featured articles and submitted articles. AAEA members receive free access to AEPP. 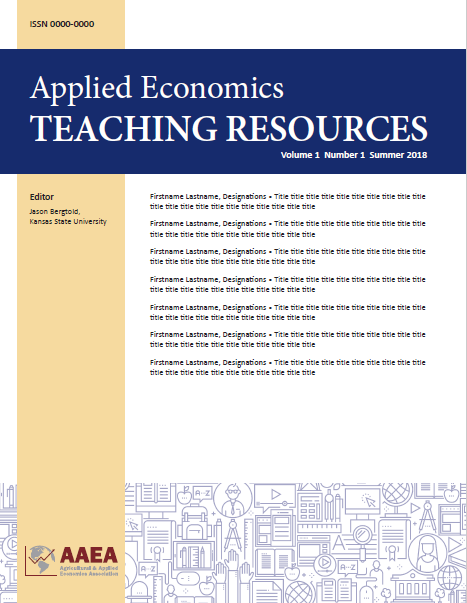 The Applied Economics Teaching Resources (AETR) is a new, online, peer-reviewed publication series. The aim of this publication is to be an outlet for teaching scholarship, case studies, classroom games, and other teaching resources (e.g. experiential learning, pedagogy, etc.) that advances and supports the betterment of teaching and experiential learning in the field of applied economics, agricultural economics, agribusiness, and related fields. Choices is the principal outreach vehicle of AAEA. Choices provides current coverage on economic implications of food, farm, resource or rural community issues directed toward a broad audience. Articles are peer reviewed. Choices is a free, online-only publication. The Exchange is the bi-weekly electronic newsletter published by AAEA for its members. The content of the newsletter includes association announcements, membership news, and updates from the profession. All AAEA members are e-mailed a copy of The Exchange.